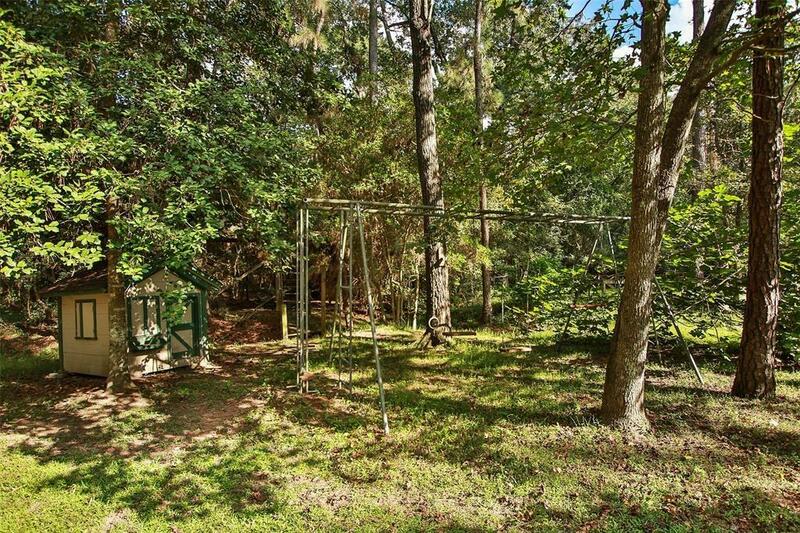 Just in time for Summer Fun! 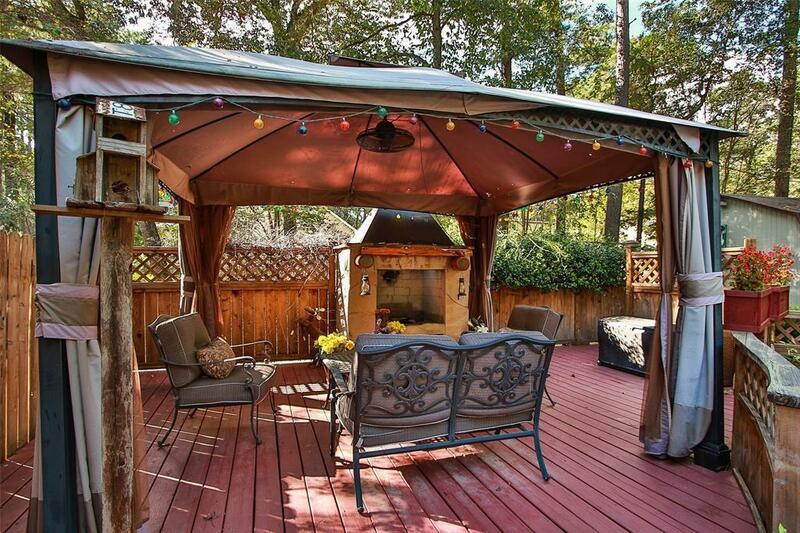 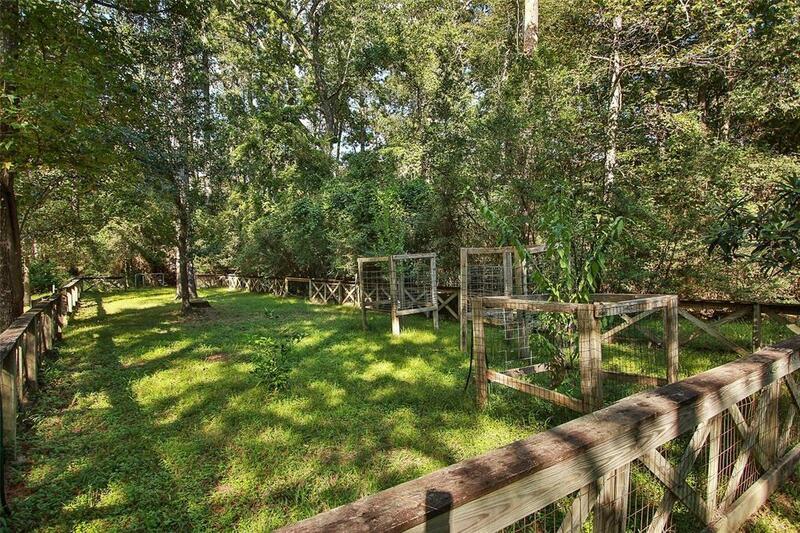 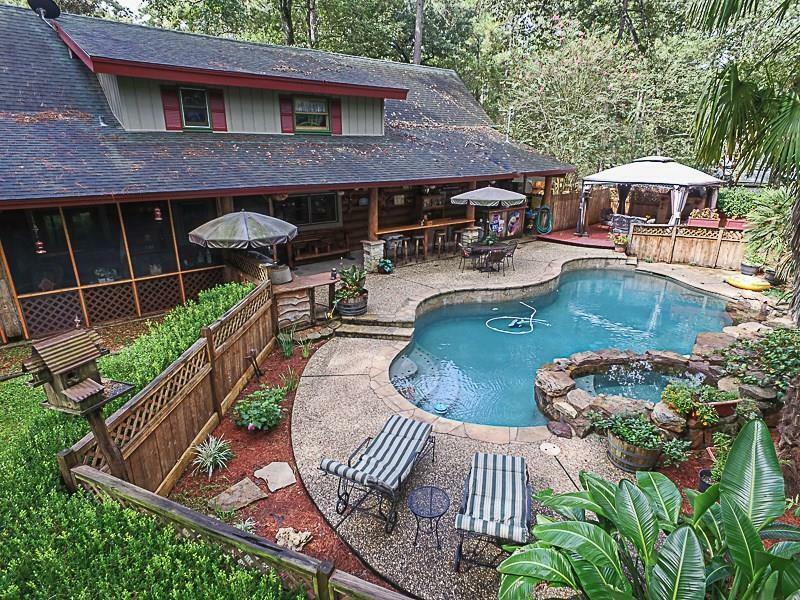 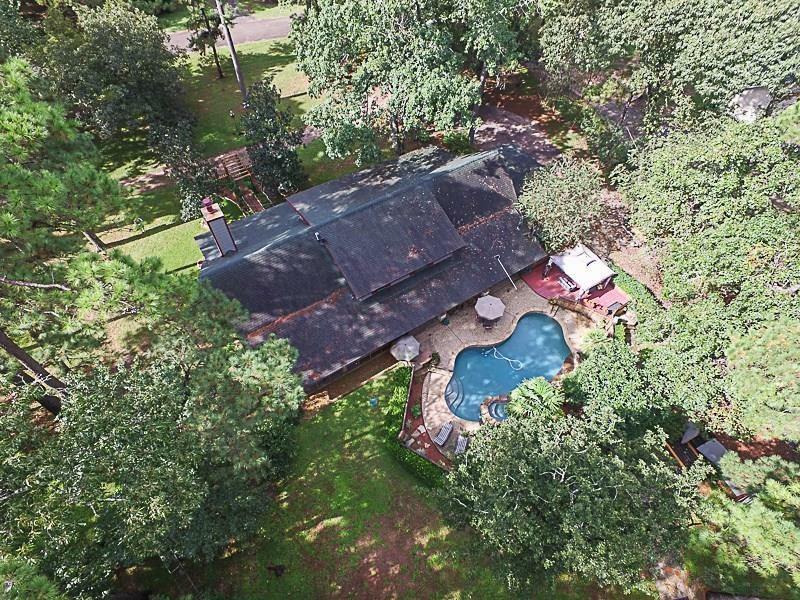 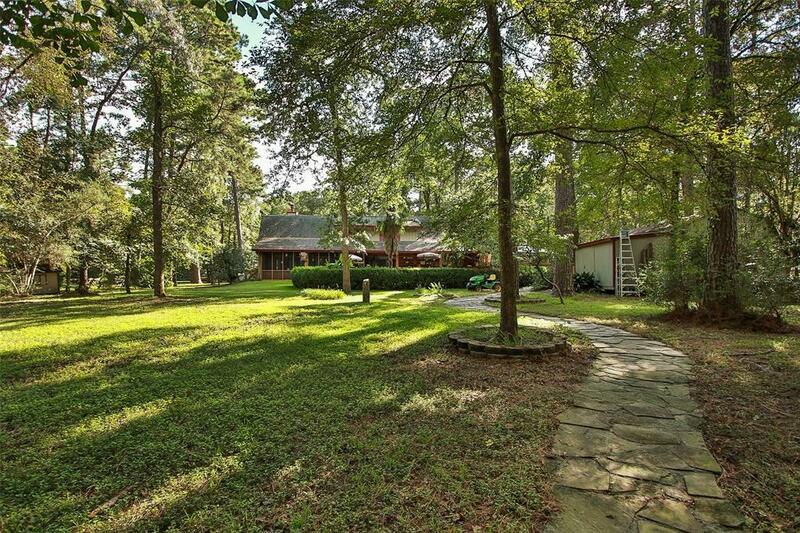 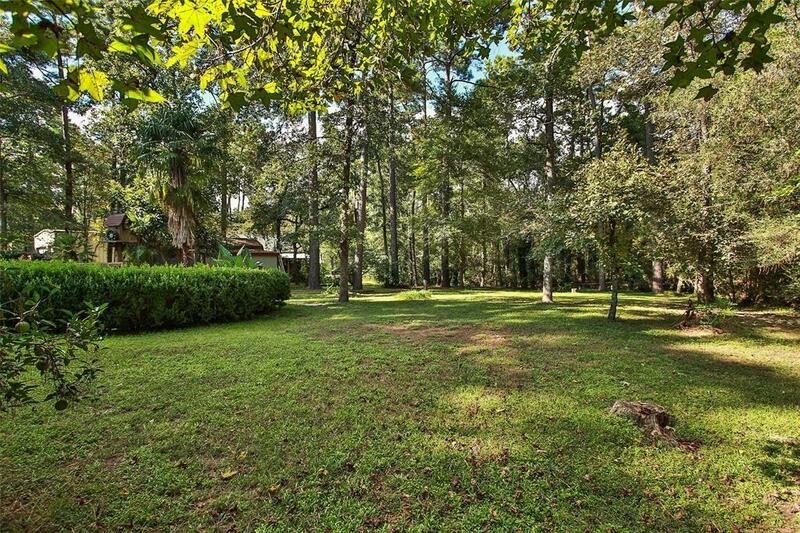 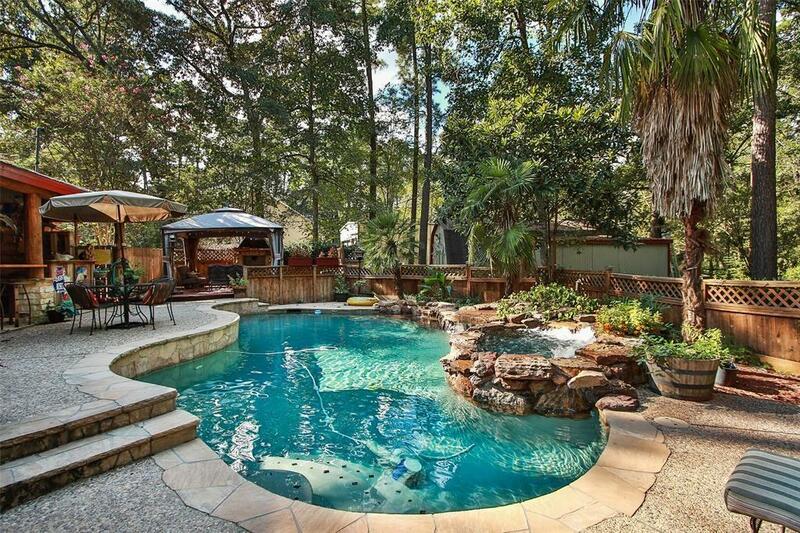 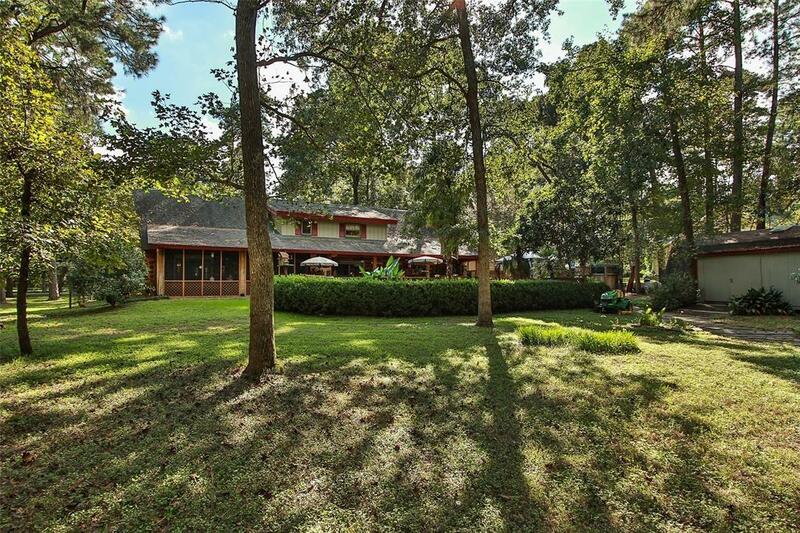 Your back yard paradise awaits!! 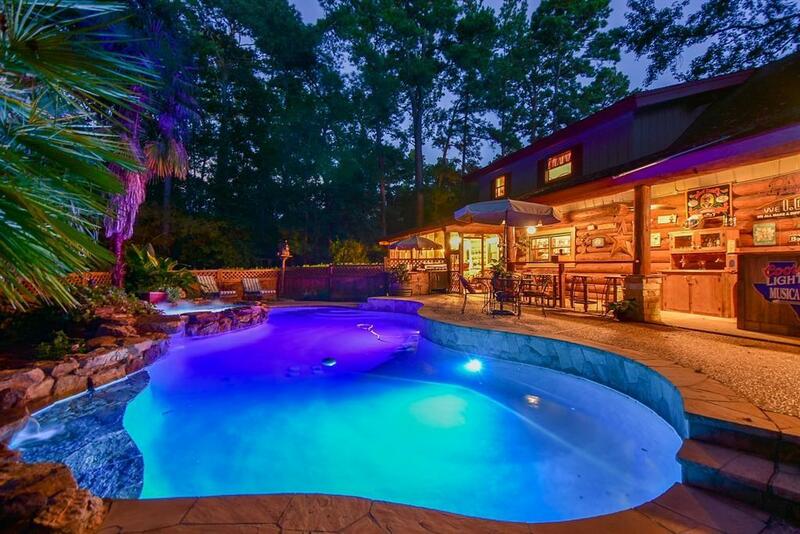 Gorgeous custom rock waterfall pool & spa with so many extras you must see to believe!!! 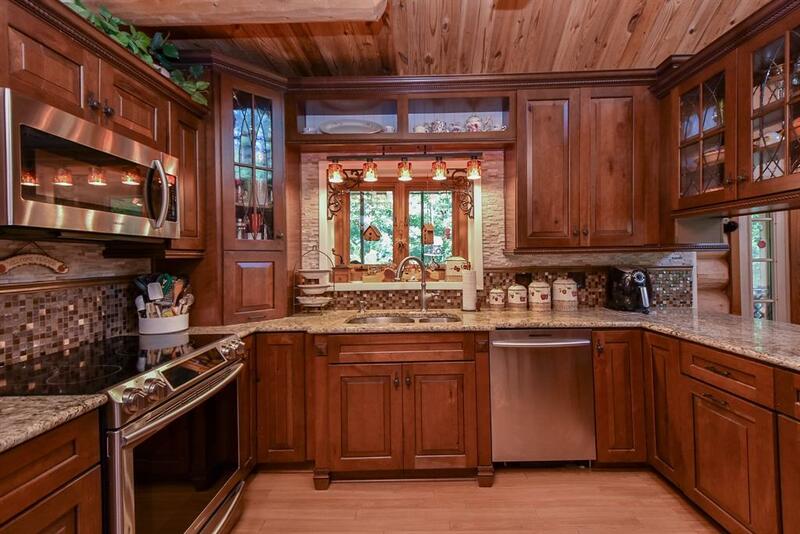 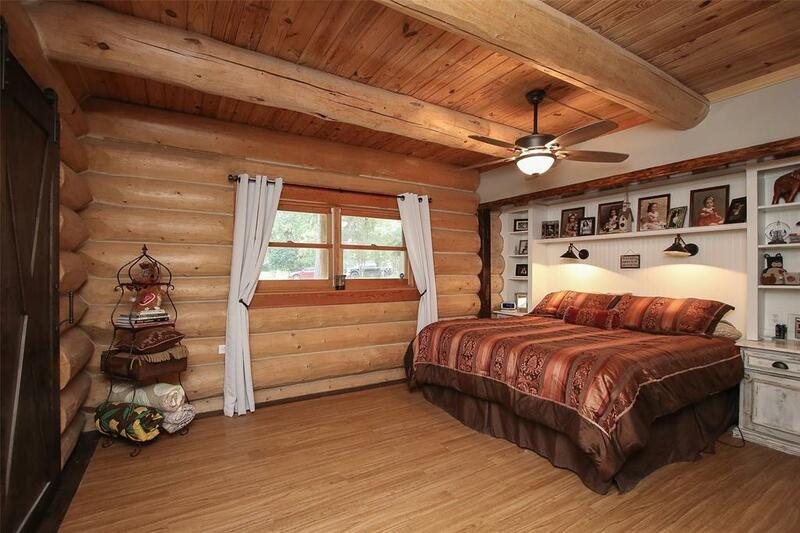 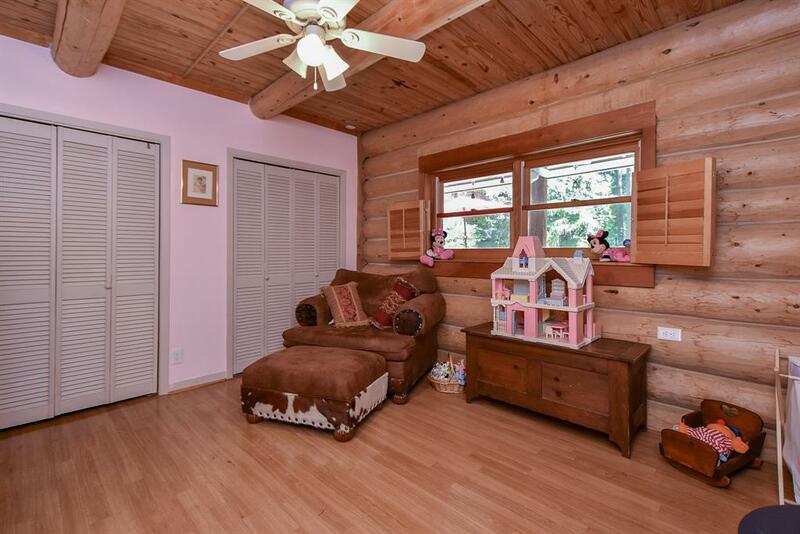 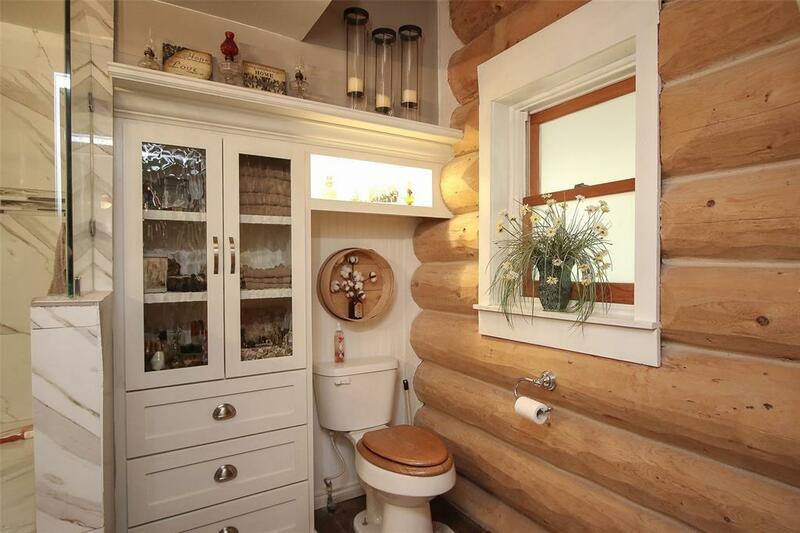 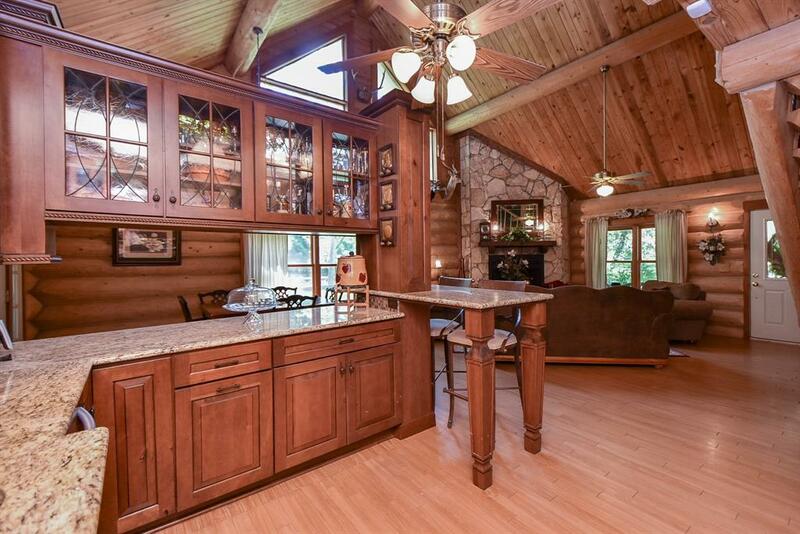 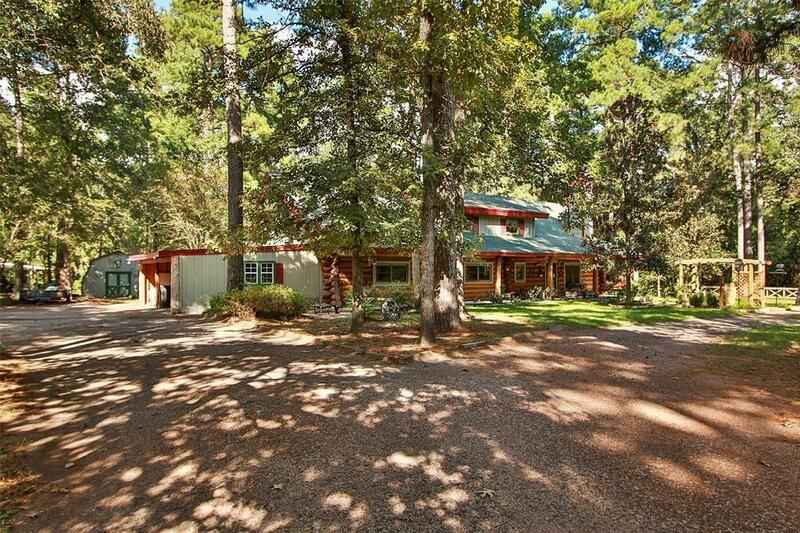 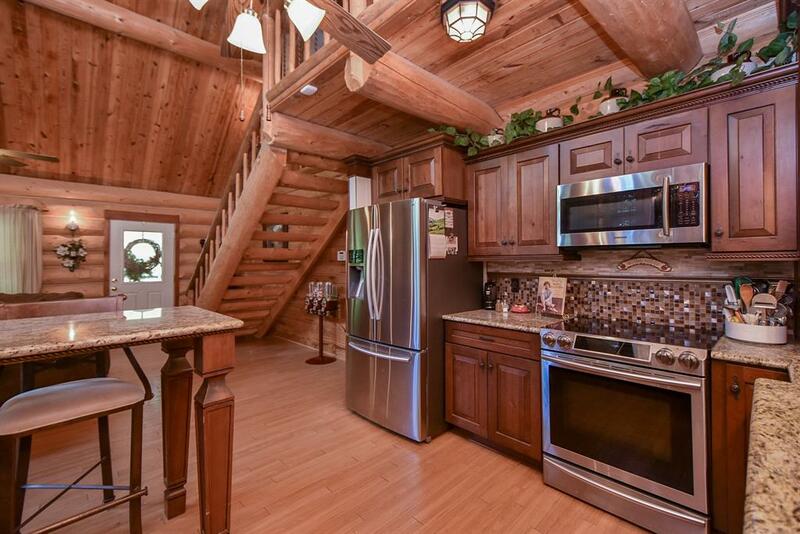 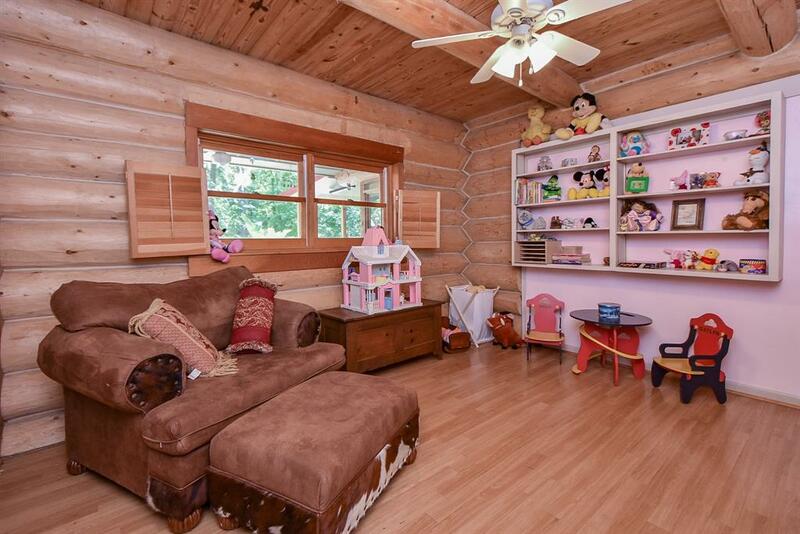 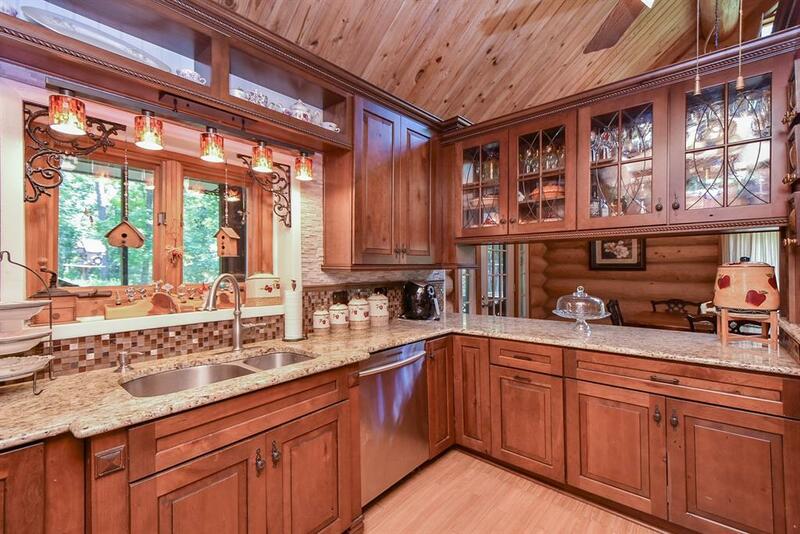 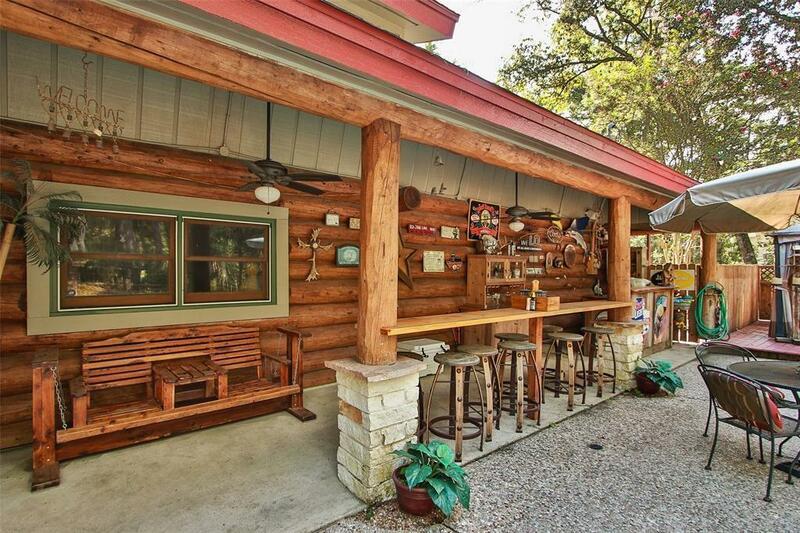 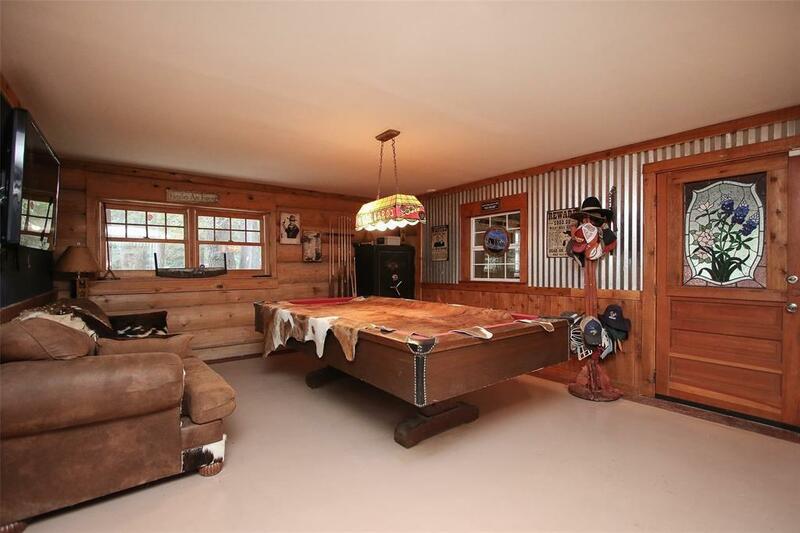 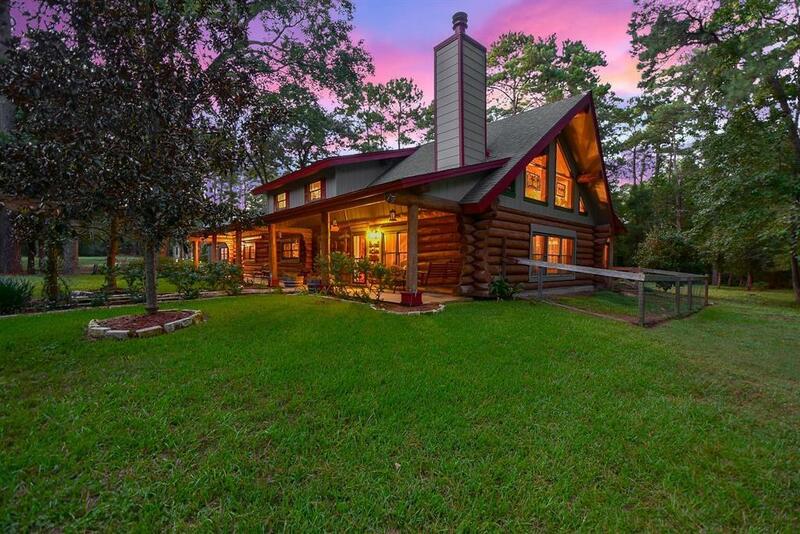 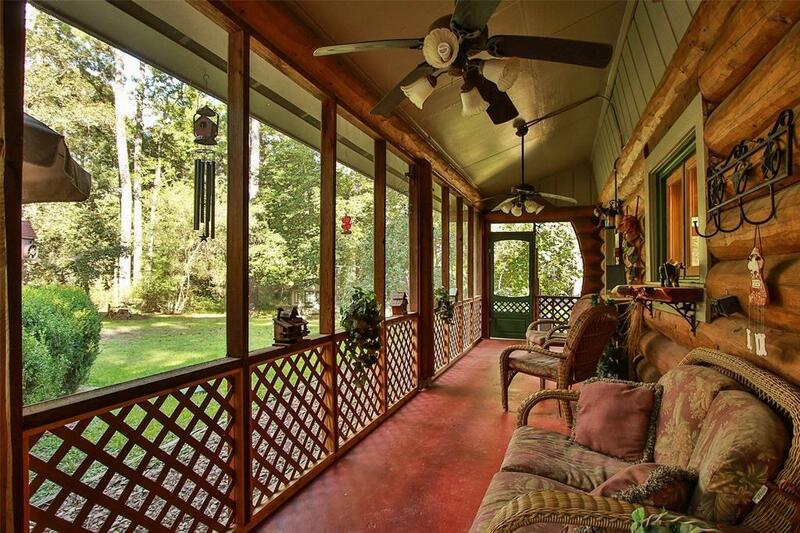 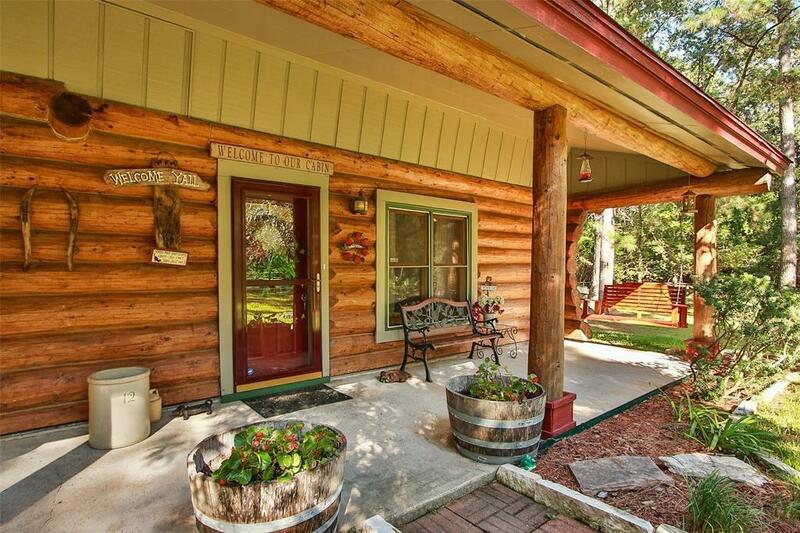 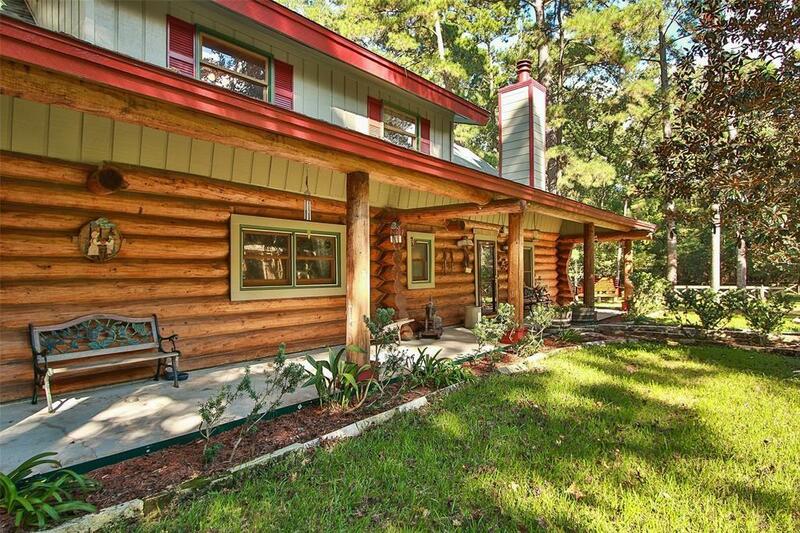 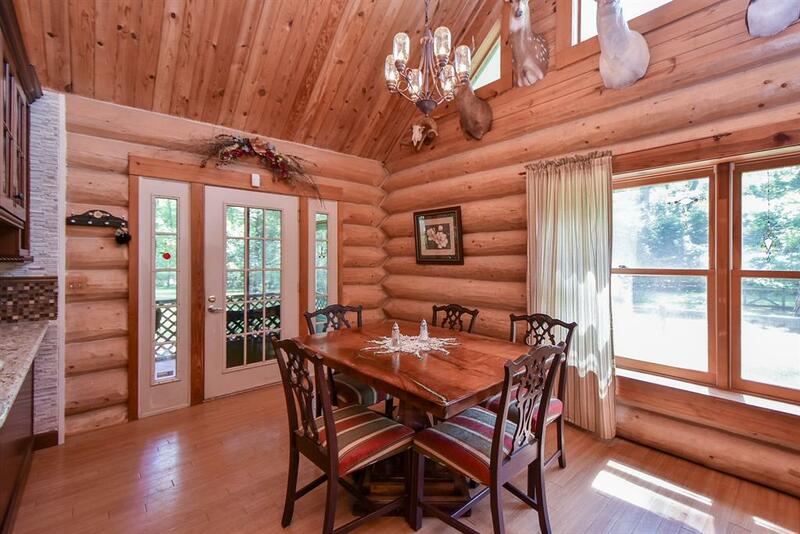 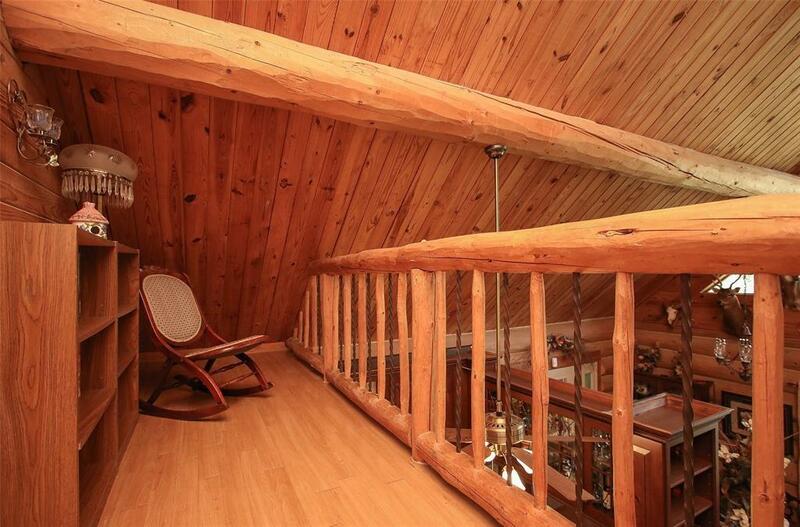 All this plus a beautiful custom built white spruce log home on 1.1 wooded acres. 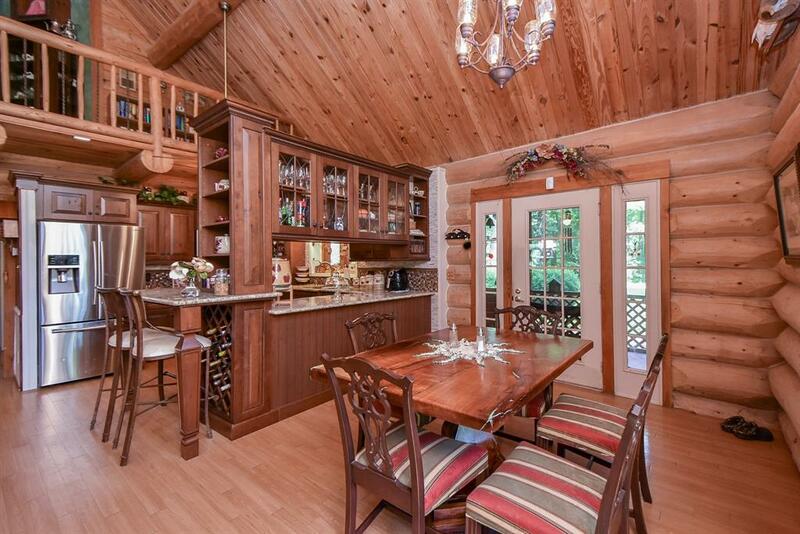 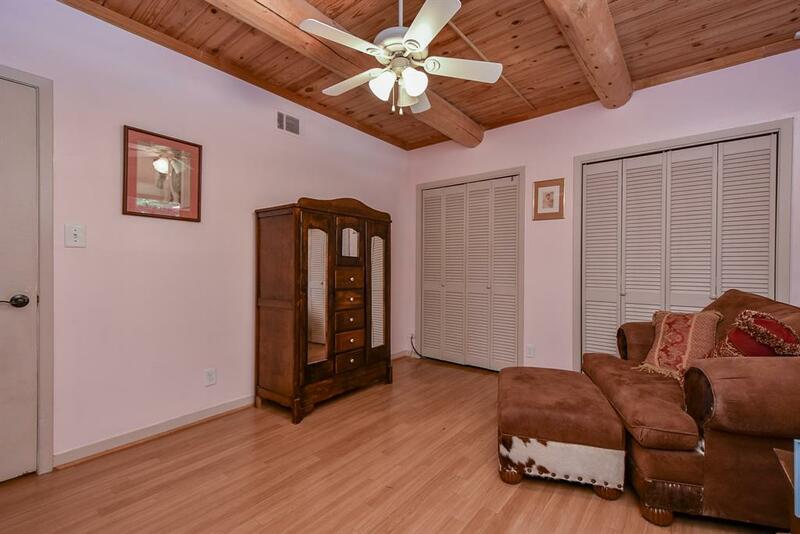 Spacious living, dining & kitchen area. 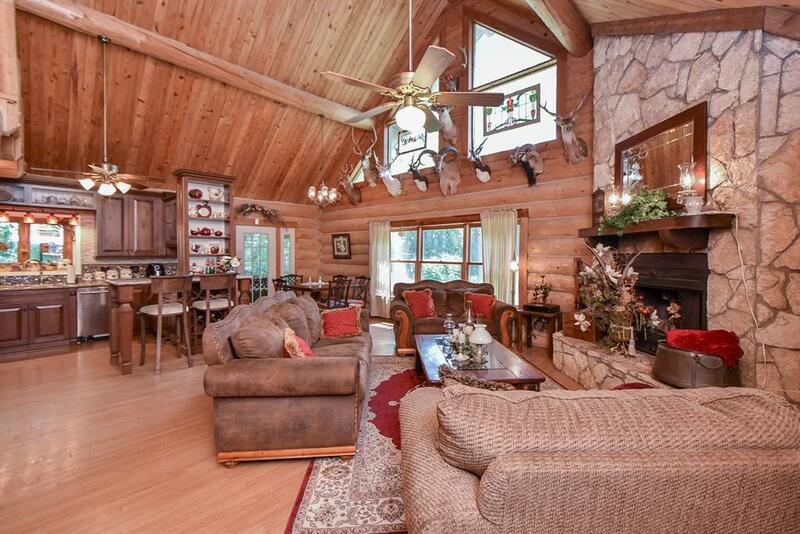 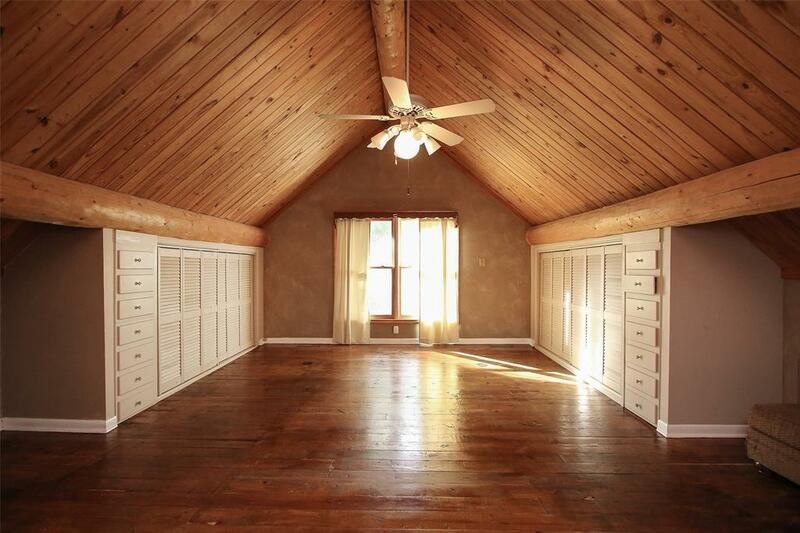 Soaring wood beamed ceilings, rock wood burning fireplace. 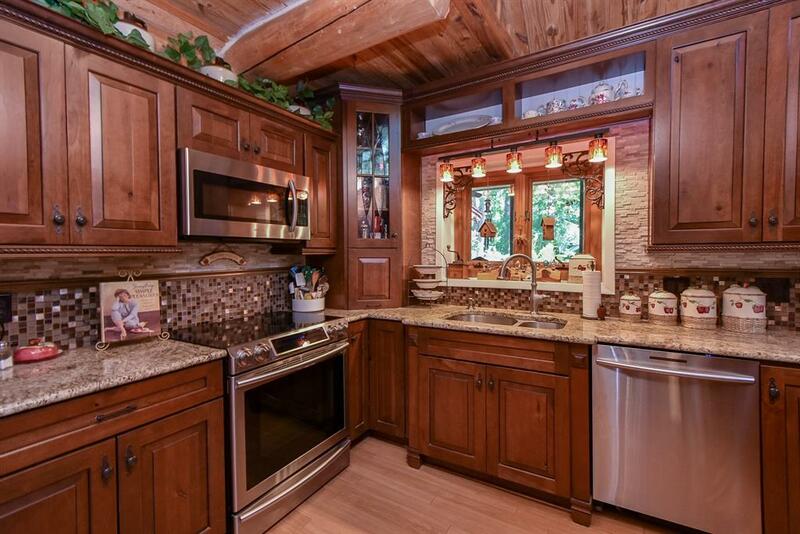 Rich hickory custom cabinets & built-ins in kitchen & dining, granite counters & stainless steel appliances. 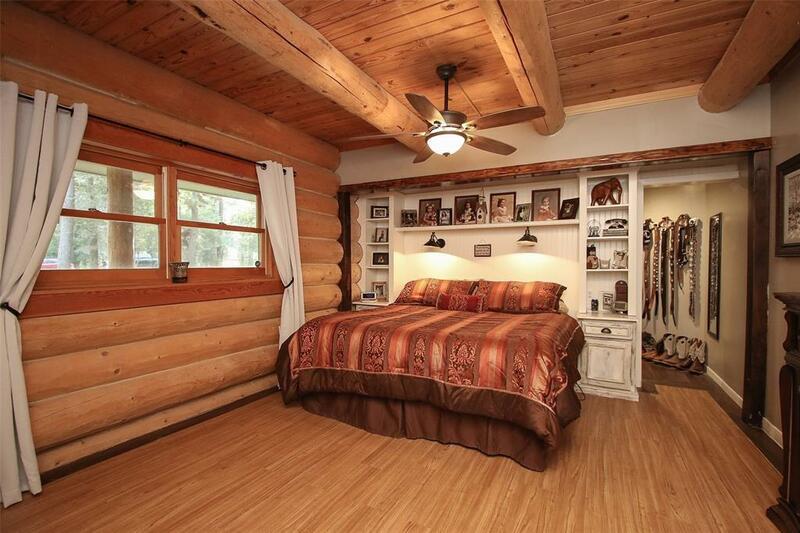 Master suite with even more custom features & built-ins & walk-in closet. 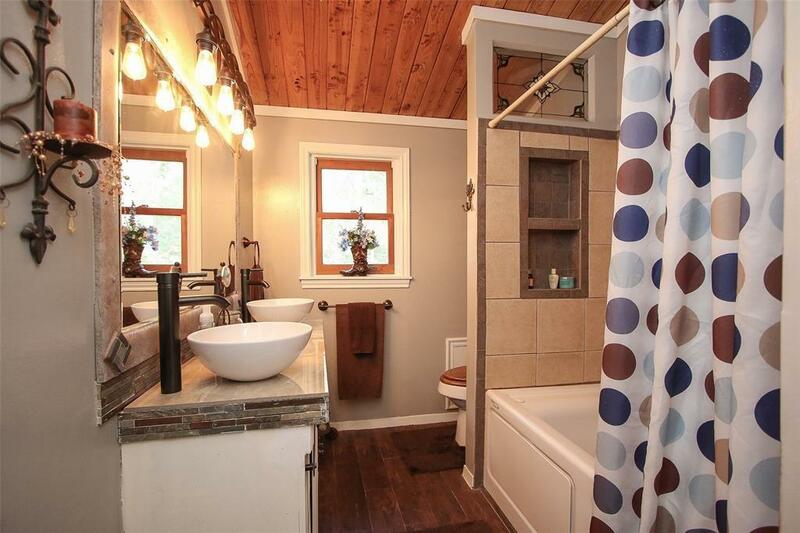 Master bath with double vessel sinks & oversized walk-in shower. 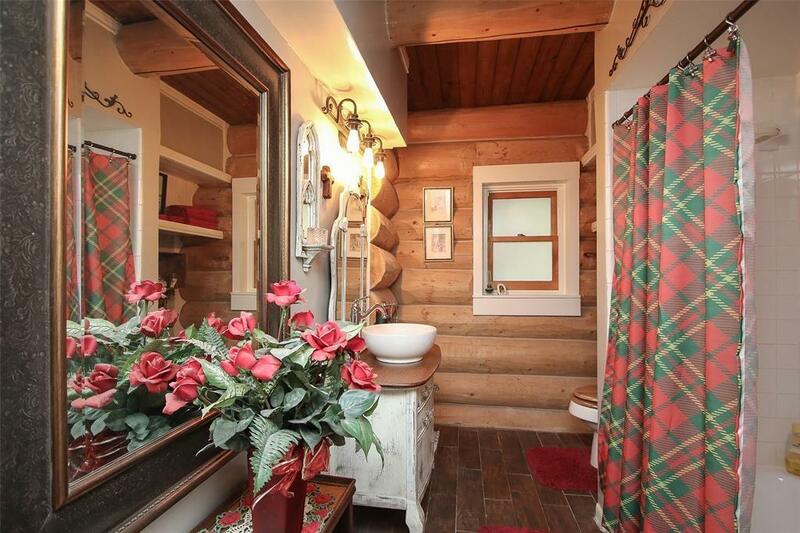 Guest bath offering one of a kind antique vanity with vessel sink. 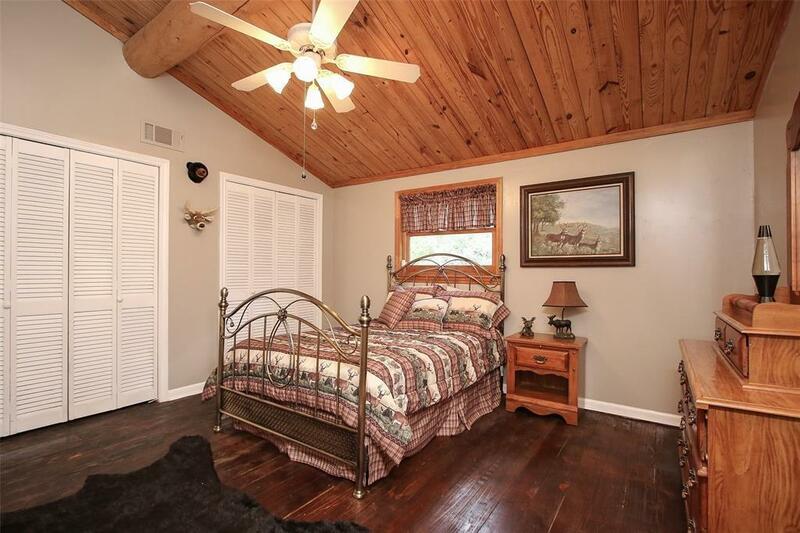 Additional bedroom down & huge downstairs game room. 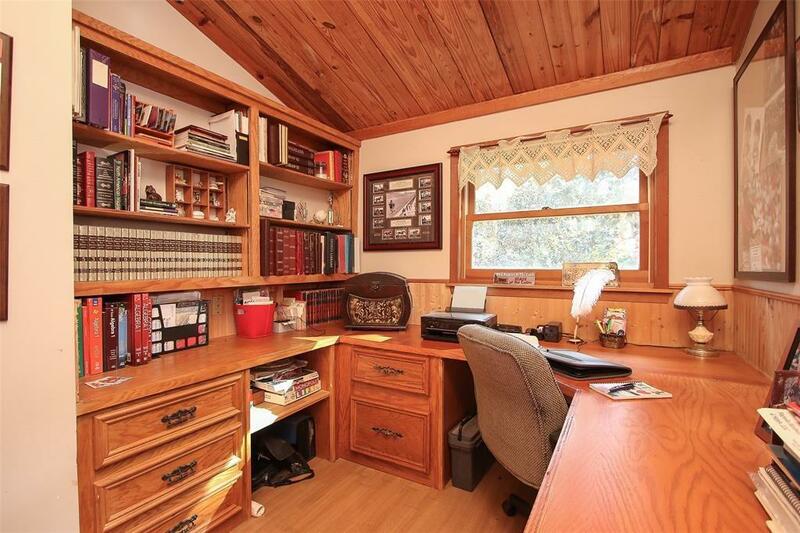 Upstairs features include, cozy reading nook, executive office with built-in desk, book shelves & more plus another beautifully appointed 3rd bath, 2 bedrooms & extra room/media room/or possible upstairs master. 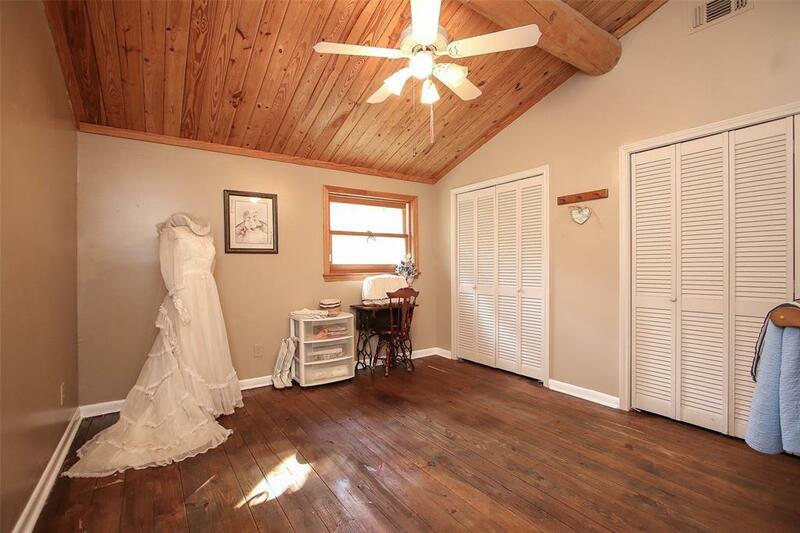 Screened in back porch, Air Conditioned 420 sf Workshop with attached shed.